What is Marketing (and why most people do not know)? Someone once quipped that you can learn everything you need to know about marketing in a day, but it will take you a lifetime to master. I could not agree with this statement more. Most people see a portion of what they think marketing entails, and conclude that they understand how to market their product or service. Most people erroneously see marketing as either public relations, advertising, or product packaging or a combination of all of these. What they fail to realize is that marketing is some much more than anyone of this tactical objectives. 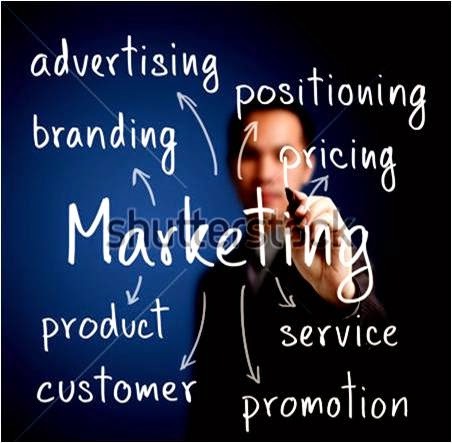 Marketing’s real objectives include reducing the friction in sales, improving brand awareness, and maximize your return on effort of promoting your products or services. (look for another blog on what return on effort means). Marketing’s ultimate goal is to create a plan of action and to ACT on that plan. If conducting business is very much like warfare (see Sun Tzu's “The Art of War”), then marketing is responsible for development of the battle plan. And that plan needs to take into account both the long and short view of the battlefield. That means it needs a listing of objectives, needed resources, terrain, enemy strength, positioning and desired outcomes. This plan needs to formulate both the strategic and tactic actions that will ultimately lead to the capitulation of the enemy (gaining market share). Unlike warfare, business is not a zero-sum action. While a battle plan’s success is measured in victory, a successful market plan uses a variety of metrics to measure success. Success to the marketing plan can be measured in new clients, increased profit, customer retention, margin dollar increases, etc. In order to do any of these effectively, you will need to research your market, customers, pricing, competition, and placement. You will need to determine the best delivery channels (i.e. : retail, direct to market, distribution, etc.) to maximize your margin dollars, and at the same time determine what is the best product mix to minimize your costs. Marketing is as much a science as an art, and sometimes the objective in a good marketing plan is not to be the biggest, just the best. Still, to go back to why people get marketing wrong. Mostly because they try to make marketing more understandable, they just focus on advertising, or communications, or pricing, or product placement, and not on the whole gestalt of what marketing encompasses. One thing is certain; the more you know about how to market, the more your realize there is more to know.